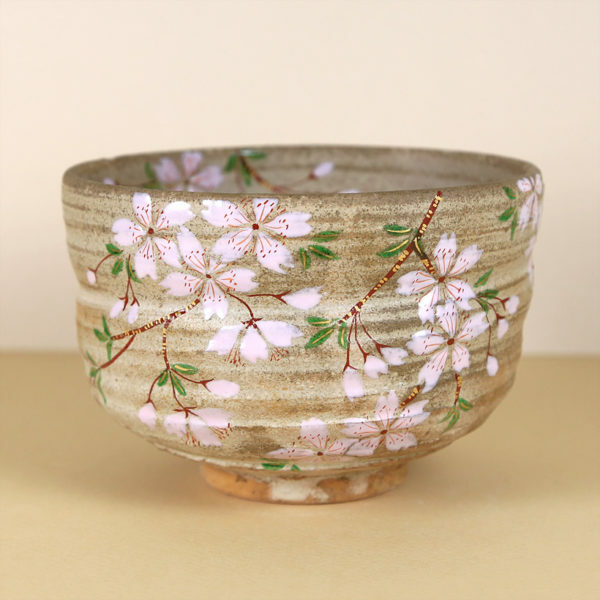 This is a very lovely tea bowl. The potter has utilized some interesting elements to fashion this bowl. While the tea bowl may appear relatively uncomplicated and humble on first glance, there is much going on here in terms of skill and technique. The sakura blossoms are profuse and very well painted. They drape across the front of the tea bowl in a graceful manner, and the branches are rendered equally skillfully. On first appearance and handling the tea bowl appears to be un-glazed and in fact it feels as such, but on a closer look one can begin to notice that the potter has used some very skillful glazing techniques. The glaze treatment is called Undei Yu and it dresses the surface of the tea bowl in a light veil of grey-ish white. Mr. Sohoh develops his own glazes and for this piece he has used two different glazes. He also fires the tea bowl twice to affect the final appearance. 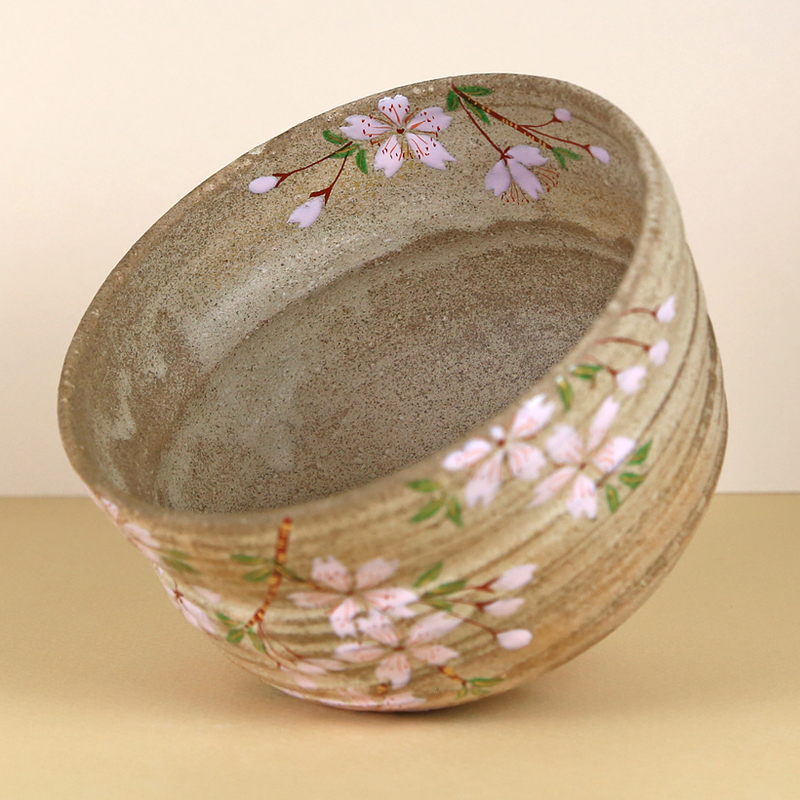 The tea bowl has been given a finger line (gentle, shallow ridges that trail around the circumference of the tea bowl) which adds both visual and tactile texture to the surface. The finger line allows the glazes to sit differently on the two surfaces (inside of the finger line depression and outside of it.) To my eye, the effect of the finger line and the glazing creates a tree-bark like or wood-like appearance that is unusual and quite lovely. The foot-ring appears to be un-glazed and is rough. 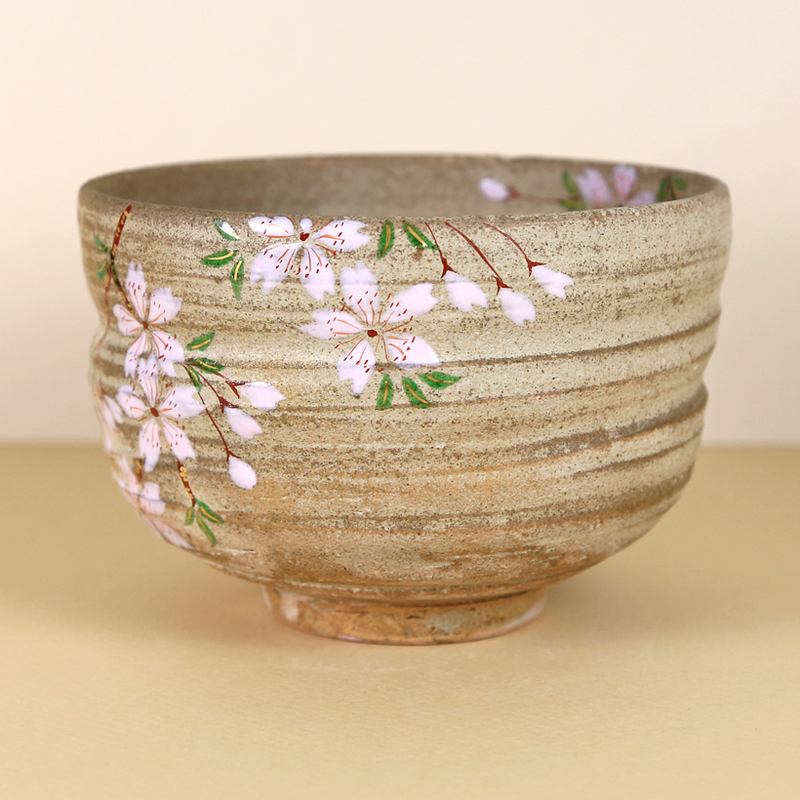 This tea bowl is the perfect choice for tea drinkers who appreciate technique that is skillful, subtle, and respecting of the humble wabi sabi aesthetic of tea bowls. 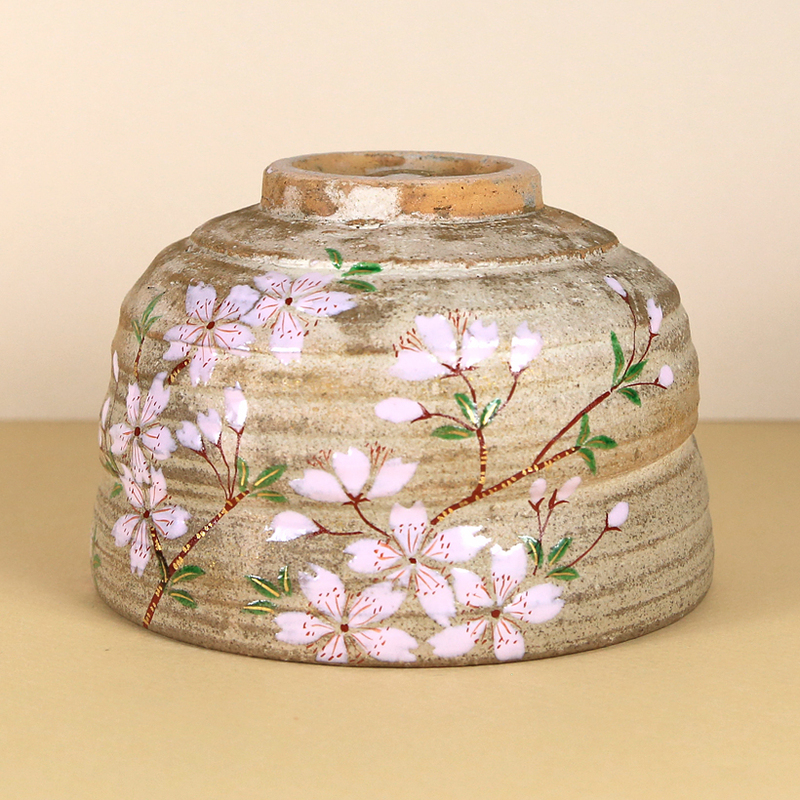 This is a handmade item – slight variations in the painting, colors, tooling, patterning and kiln effects of Chinese and Japanese tea wares are to be expected. We have carefully photographed this item as best as possible – please be aware that different device screens can render colors and subtle tones slightly differently.